click away with our free London search. Celebrate by pulling a cracker knowing your Christmas party is taken care of! Organising a corporate Christmas party in London can seem like a daunting task. There are hundreds of Christmas party venues in London, every one of which offers something different. However help is at hand! We offer a completely free Christmas venue finding service to help you find that perfect venue for your company Christmas party. With over 1000 London event spaces listed, we have a fantastic team with unrivalled knowledge of all the best event spaces in London. Our team love nothing more than finding that perfect venue for you. For groups of 60 guests and above that are looking for exclusive Christmas parties in London, start your free search today by completing the form below. For groups of between 10 - 60 guests who are looking for a change from a bar or private area, you may wish to consider a Christmas Shared Party Night at one of London's top party venues. These fantastic evenings allow you to book exclusive tables so that you can join other companies, creating that big party atmosphere all under one roof. 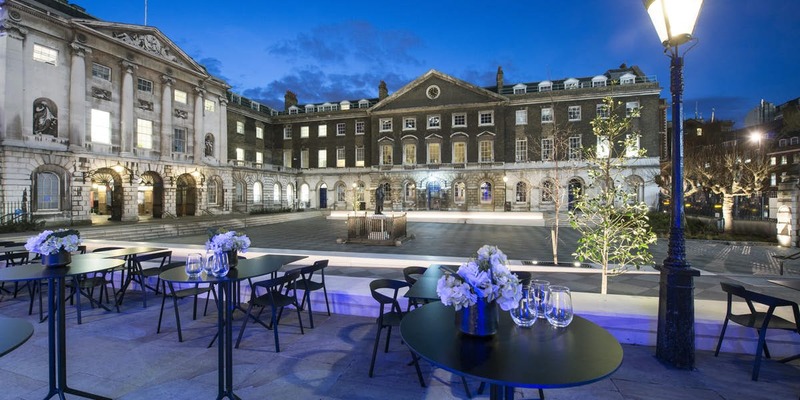 Choosing the perfect event space from the many Christmas party venues London has to offer can seem like an impossible task. We understand that there is a huge amount of pressure on your shoulders to ensure that your office Christmas party is a huge success. To help, we have put together some top tips for you to consider before embarking on your Christmas party search. It is so important before you start looking for your Christmas party that you take the time to do the necessary research and have a clear idea of what you are looking for. This includes an indication of guest numbers, the style of event and the all-important budget you have to spend. You want to ensure that your venue is the right size for your company. Too small and any new joiners won’t be able to be invited later down the line; too big you will be rattling around and unable to create that great Christmas party atmosphere. The day of the week you host your party on can play a big part in how much it costs. Thursday and Friday evenings are the most popular time to host your celebrations. If you are able to consider an earlier day in the week or a lunchtime party then you are likely to have a wider choice from the Christmas parties London has to offer and be able to find a fantastic venue at a cheaper price. You want to ensure that you focus your search to finding a venue that has great transport links to ensure maximum attendance. We would suggest great transport links from your work offices and from the chosen venue to people’s homes. London has a fantastic mix of venues and we are here every step of the way to ensure that you find the best Christmas party venue, to ensure you finish the year on a high! If you’ve read this and feel overwhelmed, please don’t worry, here at Venue Search London we offer a free venue finding service and have a very experienced team based in the West End, who really do know all the best Christmas party venues in London. Please call us on 0207 870 9305 or start your free London Christmas party venue search now.